The use of performance counters (PCs) to develop per-core power and thermal proxies for multicore processors is now well established. These proxies are typically obtained using traditional linear regression techniques. These techniques have the disadvantage of requiring the full PC set regardless of the workload run by the multicore processor. Typically a computationally expensive principal component analysis is conducted to find the PCs most correlated with each workload. 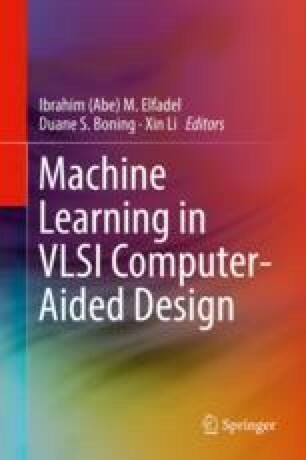 In this chapter, we use the more recent algorithm of least-angle regression to efficiently develop power and thermal proxies that include only PCs most relevant to the workload. Such PCs are considered workload signatures in the PC space and used to categorize the workload and to trigger specific power and thermal management action. Also, the workload signatures at both the core and the thread level are used to decide thread migration policies to maximize per-core utilization and reduce the number of active cores. Our new power and thermal proxies are trained and tested on workloads from the PARSEC and SPEC CPU 2006 benchmarks with an average error of less than 3%. Power, thermal, and performance-aware autoscaling policies are presented, and extensive numerical experiments are used to illustrate the advantages of our algorithm for real-time multicore power and performance management. The authors would like to acknowledge very helpful discussions with Andrew Henroid from Intel, and with Pradip Bose, Alper Buyuktosunoglu, Canturk Isci, Prabhakar Kudva, and Charles Lefurgy from IBM. This work was supported by SRC under Contract 2011-TJ- 2192 with customized funding from Mubadala, Abu Dhabi, UAE.